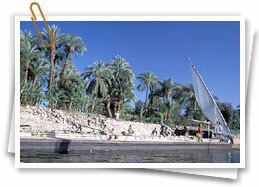 Non-Egyptian visitors arriving in Egypt are required to be in possession of a valid passport. Entry visas may be obtained from Egyptian Diplomatic and Consular Missions Abroad or from the Entry Visa Department at the Travel Documents, Immigration and Nationality Administration (TDINA). It is, however, possible for most tourists and visitors to obtain an entry visa at any of the Major Ports of Entry. Please check with your nearest Egyptian Consular mission for more details concerning visa regulations applying to your citizenship. The visa form must then be completed, either by printing it out and filing it in or via a graphics editor and sent to the nearest Egyptian Embassy or Consulate. Visitors entering Egypt at the overland border post to Taba to visit Gulf of Aqaba coast and St. Catherine can be exempted from visa and granted a free residence permit for fourteen days to visit the area. Iran, Tunisia, Somalia, Morocco, Algeria, Lebanon, Iraq, Palestine, Ethiopia, Eritrea, Sudan (non residents in the UK), Djibouti, Mauritania, Comoros, Burundi, Rwanda, Liberia, Nigeria, Ghana, Sierra Leone, Mali, Niger, Chad, Israel, Afghanistan, Kosovo, Moldova, Philippines, Sri Lanka, Thailand, Indonesia, Pakistan, Bangladesh and Myanmar. Residents of the above countries and any other countries not mentioned must apply for a visa through their nearest Egyptian Consulate or Embassy. Those in possession of a residence permit in Egypt are not required to obtain an entry visa if they leave the country and return to it within the validity of their residence permit or within six months, whichever period is less. Tourist Visa: is usually valid for a period not exceeding three months and granted on either single or multiple entry basis. 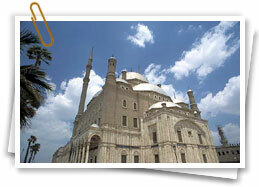 Entry Visa: is required for any foreigner arriving in Egypt for purposes other than tourism, e.g. work, study, etc. 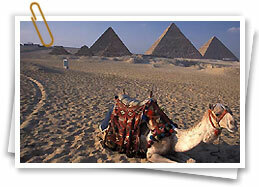 The possession of a valid Entry Visa is needed to complete the residence procedure in Egypt. Officials of international organizations and specialized agencies and state delegates to conferences. Non-national spouses of Egyptian nationals. Non-national members of the clergy, prominent scientists, journalists and members of official cultural, educational and sports delegations. Non-national students studying in Egyptian institutions. Non-diplomatic personnel of diplomatic and consular missions affected in Egypt. Parents, siblings and adult children of members of the diplomatic and consular corps affected in Egypt. 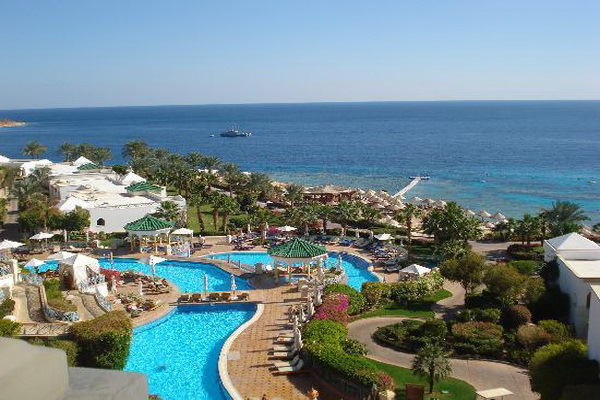 Nationals of Cyprus, Denmark, Finland, Germany, Norway, Russia and the United States are partially exempt from Egyptian visa fees and will, therefore, pay a reduced fee. Nationals of Bahrain, Jordan, Kuwait, Libya, Oman, Saudi Arabia, Syria and the United Arab Emirates. Holders of diplomatic passports of Argentina, Bosnia Herzegovina, Italy, Malaysia, Malta, Singapore, the Slovak Republic and Turkey. Special Residence: is usually granted for a period of 10 years, renewable. Special residence is granted to those born in Egypt prior to 26/5/1952 or those having resided in the country for the 20 years preceding 26/5/1952 and whose stay has been uninterrupted; it is also granted to their wives and minor children. Ordinary Residence: is granted for a period of either 3 or 5 years. 1. Non-national husbands of Egyptians. Minor children entitled to special or ordinary residence in like manner to their deceased father. Adult children whose father is entitled to special, ordinary or 3-year residence provided a source of income is available to them. Adult Palestinian male children of those employed by the Department for the Governor General of Gaza, or of those retired therefrom, who have completed their studies and are not working in the country. 3. Those employed by the government, public institutions, public sector companies and public business sector. 4. Palestinians employed by the Department for the Governor General of Gaza and those retired therefrom. 5. Palestinians in possession of travel documents issued solely by Egyptian authorities who have been resident in Egypt for a period of 10 years. 6. Non-nationals who receive a monthly pension from the National Authority for Insurance and Pensions. 7. Non-national residents of homes for the elderly and disabled. 9. Refugees registered at the UN Higher Commission for Refugees (UNHCR). 10. Spouses of those non-nationals entitled to special or ordinary residence. 11. Egyptian spouses who forfeited their nationality of origin following marriage to non-nationals and the acquisition of the latter's citizenship. 12. Spouses and children of those non-nationals exempt from residence permits and restrictions. 13. Non-nationals who, for any reason, waived their entitlement to special or ordinary residence. 14. Those non-nationals employed by the Swiss Institute for Architectural and Archeological Research in Egypt. 15. Non-nationals who, according to international treaties, are entitled to obtain 3-year residence. 16. Those granted approval on 3-year residence from the Ministry of Interior. 17. Spouses and children of those non-nationals entitled to 3-year residence under any of the previous cases. 2. Egyptians and their minor children who forfeited their nationality of origin due to their admission to a foreign citizenship. b. Whose father was granted Egyptian citizenship. c. Adult children whose mother is entitled to special, ordinary or 5-year residence in case of the death of the father. 4. Those of age 60 or more who have been resident in Egypt for 10 years provided that a source of income is available to them. 5. Non-nationals who, according to international treaties, are entitled to obtain 5-year residence. 6. Spouses and widows of Egyptians. 7. Spouses of those non-nationals entitled to ordinary residence. 8. Spouses and children of those non-nationals entitled to 5-year residence under any of the previous cases. Foreigners arriving in Egypt on board of ships are granted a permission to visit the port of arrival for 24 hours and catch their ship at the same port. They can also be granted a permission to enter the country for a visit not exceeding a period of 3 days before catching their ship at the port of arrival or at any other port. 24 hours in case of poor weather conditions. 48 hours in case of technical faults to the aircraft.